Thousand Islands Boat Cruise, Fort Henry Heritage Sunset Ceremony and lots of tours included! Join us on our activity-filled and jam packed 2-day tour to beautiful and historic Kingston, Ontario. 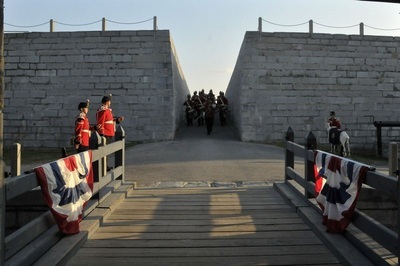 In addition to the Thousand Islands boat cruise and the various unique museums in Kingston, the tour this year includes a unique opportunity to have an unforgettable experience the World Heritage Sunset Ceremony at Fort Henry. This award winning 2-hour production - the only one of its kind in Canada - is included as part of our tour. We leave the Toronto area on Saturday morning at approximately 8:30 AM and return on Sunday night at approximately 9:00 PM. Actual pickup and drop-of times vary by pickup location. Prices below are in Canadian dollars, HST extra. Your seat is fully transferable to anyone else up to the time of departyure without penalty. 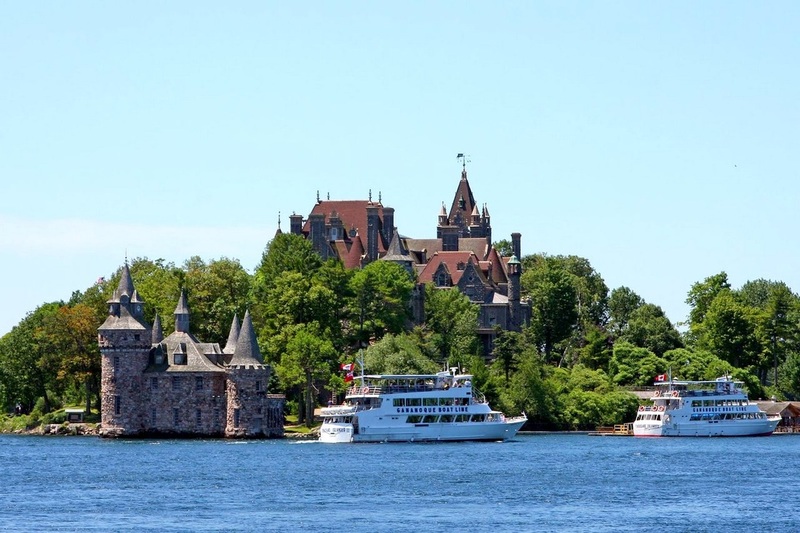 A one hour sightseeing boat cruise through the heart of the Thousand Islands including touring past Boldt Castle, Zavikon Island and Millionaire’s Row. Admission and tour of historic Fort Henry included. 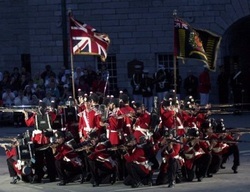 Admission to the World Famous, award-winning Sunset Ceremonies featuring the Fort Henry Guard Drums, Drill Squad, and Artillery Detachment included. Saturday night BBQ dinner included at Fort Henry included. This is a simple BBQ and includes access to the salad bar, an entree (choice of hamburger, hot dog, chicken burger or vegetarian burger) and a drink. 3-hour guided bus tour of Kingston included. Visit to the Kingston Penetentiary Museum included. 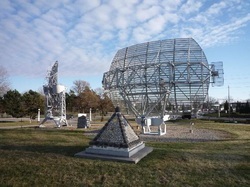 Visit to the Military Communications & Electronics Museum at Canadian Forces Base Kingston included. Visit to Bellevue House, the home of Sir John A. MacDonald, Canada's first Prime Minister included. Visit to Kingston Mills and Liftlock #1 on the Rideau Canal. Great photo opporutnities. Free time to spend in the beautiful Kingston downtown waterfront area. A stop at The Big Apple on the way home for some dinner and to shop for apple pies, cakes, breads and other apple products. One of the highlights of our tour will be the Heritage Sunset Ceremonies at Ford Henry. It's an unforgettable experience - the only one of its kind in Canada! 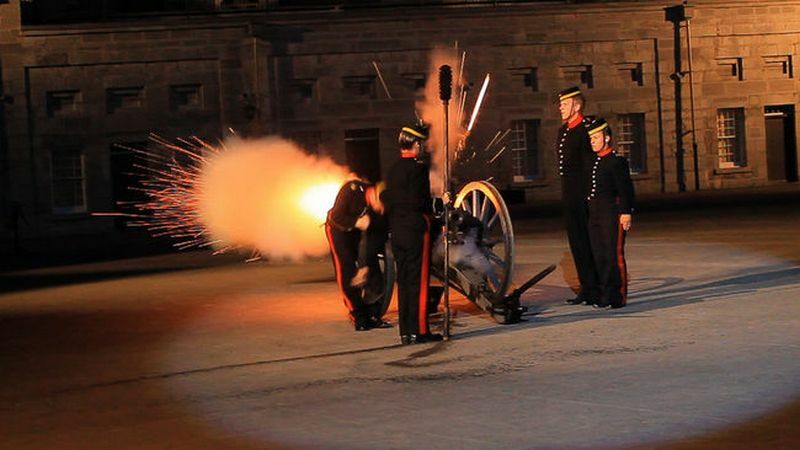 The World Famous, award-winning Sunset Ceremonies feature the Fort Henry Guard Drums, Drill Squad, and Artillery Detachment presenting an interpretive story of the 1860s military music, precision drill and big-bang artillery manoeuvres, including a mock battle! Included in the ceremony is a state-of-the-art projection system that will bring the ceremony to life! 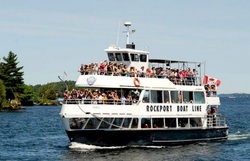 Rockport Cruises will explore the magnificent scenery of the 1000 Islands on a relaxing one hour cruise. This wonderfully lush landscape is dotted with luxurious cottages and vast estates located in the “Heart” of the thousand islands and surrounded by the beautiful St. Lawrence River. Referred to by the Iroquois Nation as the “Garden of the Great Spirit”, the tranquility of the area belies a history of adventures, wars and rebellions. The famous Boldt Castle, Zavikon Island and Millionaire’s Row are only a taste of the adventure aboard this International cruise in the heart of the 1000 Islands. Although Boldt Castle is in US territory, we we will not be getting off the boat so a passport is NOT required. 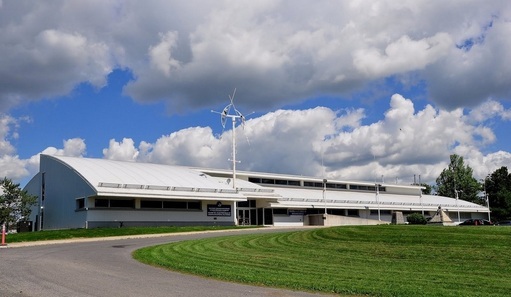 We will be visiting the Military Communications & Electronics Museum located on Canadian Forces Base Kingston. See the many displays, some hands-on, from the early years of military communication to the present. It's not just tubes and electronics, there are many more display items to delight young and old, and to experience history with a touch of nostalgia. Chat with the volunteers and share their knowledge. Most are veterans of WWII and Peacekeeping missions. We will be visiting Canada's Penitentiary Museum, the award-winning museum dedicated solely to the preservation and interpretation of the history of our federal penitentiaries! Located at the birthplace of the Correctional Service of Canada in Kingston Ontario, the museum is housed within the former Warden's residence of Kingston Penitentiary and is directly across the street from the infamous Kingston Penetentiary which housed some of Canada's most notorious criminals. In 2003 the Penitentiary Museum won the "Rand McNally Best of the Road" Award. One of only 27 sites in North America to do so! In 2012, it received a Tripadvisor "Certificate of Excellence" based upon a visitor satisfaction rating of 4.5 out of 5! And it is regularly rated among the top 3 museums in Kingston. Should make for an interesting visit! We have 4 pickup locations for this tour. We leave the Toronto area on Saturday morning at approximately 8:30 AM. Actual pickup times vary by stop and will be sent out in the final email to all registered attendees, 2 days before the trip. We return to the Toronto area on Sunday night at approximately 9:00 PM. Children 10 and older are welcome on this tour. Price is same as that for adults.